Nazi Germany invaded France in 1940. In every occupied town, Nazi soldiers put up posters that demanded that civilians surrender their firearms within twenty-four hours or else be shot. Despite the consequences, many French citizens refused to comply with the order. In Gun Control in Nazi-Occupied France: Tyranny and Resistance, Stephen P. Halbrook tells this story of Nazi repression and the brave French men and women who refused to surrender to it. Taking advantage of a prewar 1935 French gun registration law, the Nazis used registration records kept by the French police to easily locate gun owners to enforce their demand that firearms be surrendered. Countless French citizens faced firing squads for refusing to comply. But many French citizens had resisted the 1935 decree, preventing the Nazis from fully enforcing the confiscation order. Throughout the Nazi occupation, the French Resistance grew, arming itself to conduct resistance activities and fight back against the occupation. Drawing on records of the German occupation and testimonies from members of the French resistance, Gun Control in Nazi-Occupied France is the first book to focus on the Nazis efforts to disarm the French. Decades before gun control became a hot-button political issue in the United States, France on the eve of the Second World War struggled with and ultimately adopted firearm registration. In the 1930s, political unrest brought the nation to the brink of disaster, prompting Prime Minister Pierre Laval to impose restrictions on freedom of assembly, decree gun registration, and ban military-style firearms. The unintended consequences would be horrendous, as celebrated attorney and author Stephen P. Halbrook shows in the first-ever book devoted to gun control in a Nazi-occupied country. When France crumbled before the Nazi blitzkrieg in 1940, German soldiers mounted posters declaring that all firearms must be turned in within 24 hours under penalty of death. As the armistice that France signed had stipulated, the French police were to enforce all decrees issued by the German occupation authorities. And the French police had the registration records of firearm owners. French gun owners who refused to surrender their arms were a potential source of resistance to the occupation. Despite facing repression and terror, Resistance members armed themselves and conducted acts of sabotage, provided intelligence for the Allies, and helped pave the way to the Liberation. In the mountainous regions, the maquisyoung men who escaped labor conscriptionattacked German forces, particularly after D-Day. Gun Control in Nazi-Occupied France: Tyranny and Resistance offers a new and unique window on modern European history. Based on newly discovered documents from German and French archives, diaries, newspapers of the time, and recent interviews with surviving members of the French Resistance, it shows how the Nazis made use of gun control to repress and enslave their subjectstactics rarely mentioned in previous books about World War II, despite the essential role this played in Nazi occupation policy, which aimed to prevent and wipe out any resistance. The Nazi occupation of France was a showcase of gun control in its most repressive form. When gun registration was originally decreed, no one anticipated that the records would be used to induce confiscation under threat of the death penalty. Yet many still refused to comply and hid their guns. Having all firearms restricted to the military and the police, and having no right to keep and bear arms, became the essence of a conquered people. There is a historical lesson herebe careful what you wish for. Countless works have been written about the German occupation of France during World War II, but until now no book has focused on the repression of gun owners. With the publication of Gun Control in Nazi-Occupied France: Tyranny and Resistance, author and attorney Stephen P. Halbook (Gun Control in the Third Reich, Securing Civil Rights, The Founders Second Amendment) tells a story long waiting to be told. Focusing on the years 1934 through 1945, Halbrook examines Frances political convulsions, its laws restricting free assembly and requiring gun registration, its invasion and occupation by Nazi Germany, repression, execution of gun owners, resistance, and finally liberation. Here at last is the key that unlocks the secret history of Frances occupation under a brutal regime and the developments that helped lay the groundwork. Drawing on newly discovered documents from German and French archives, diaries, and newspapers of the time, Gun Control in Nazi-Occupied France not only adds immeasurably to our understanding of history, but it also remedies a longstanding injustice: historys neglect of the men and women who risked the firing squad by defying German-issued decrees to surrender all firearms. A German poster requiring all people to surrender their firearms within 24 hours or face the death penalty is on prominent display in Paris at the Musée de lOrdre de la Libération (Museum of the Order of Liberation). The burden of enforcing the edict, which was issued in 1940 shortly after the occupation began, fell on the Vichy government and its leading promotor, Pierre Laval. Years before he became the most notorious collaborator with the German occupiers, Laval as prime minister decreed the registration of firearms in 1935 in response to political strife. Issued following several violent incidents, such as a 1934 massacre in which police and the Mobile Guard opened fire on protesters, gunning down 18 civilians, Lavals decree also restricted free assembly, increased the size of the Mobile Guard, and banned rifles and pistols considered military-style. Compliance with the gun registration requirement was problematic, however. A case study of the Ardennes department revealed few registrants. With internal and external threats looming, more gun restrictions were imposed. Gun sales were halted. The press reported searches of houses in which arms were found belonging to persons rumored to be communists. While disarming her citizens, France reacted to Hitlers growing threat by imposing military conscription and building the Maginot Line. Germanys 1940 blitzkrieg defeated France in a matter of weeks. In every town square, posters were nailed up declaring that persons who failed to turn in their firearms within 24 hours would be subject to the death penalty. The French government reconstituted itself in Vichy and negotiated an armistice in which it agreed to enforce the orders of the German occupation authorities. Among other repressive measures, the French police were now in charge of confiscating firearms, and they had the gun-owner registration records with which to do so. The Vichy government reconstituted itself along authoritarian lines headed by Philippe Pétain and Pierre Laval, who would become the chief collaborator with Nazi Germany. They took orders from Otto von Stülpnagel, the German military commander headquartered in Paris. While many Frenchmen were turning in their firearms, others were hiding theirs. The Germans reported that cooperation with the French police was high. Periodic reports were issued of illegal weapons possession and other offenses against the occupation, as well as statistics on enormous quantities of arms being confiscated. Surrendered guns were supposed to be returned to their owners when peace came, but instead many were looted by or sold to German soldiers. Germanys attack on Russia released the French communists from their orders from Moscow under the Hitler-Stalin pact not to oppose the German occupation. The communists began a campaign to assassinate German soldiers, leading Hitler to order the execution of scores of French hostages. From his London exile, Charles de Gaulle warned against such random attacks. A more sustainable Resistance movement was forming, members of which were arming themselves, sabotaging infrastructure essential to the Germans, and providing intelligence to the Allies. Executions of gun owners were prominently announced. In desperation, the Germans allowed a brief amnesty for the surrender of hunting arms, which supposedly would be tagged and returned after the war. Such measures didnt work either, so Hitler issued the Night and Fog Decreepersons caught with guns, anti-German leaflets, or other violations would disappear without any trace. The Germans knew that many French held on to their guns, and thus amnesty continued to be debated, despite the incongruity of having shot so many for gun possession and then letting others turn in their firearms without punishment. The time also came to impose the death penalty on persons who failed to denounce others known to possess a firearm. The French police continued to use the registration records on behalf of the Germans, including to trace firearms used to attack German soldiers. The SS under Karl Oberg took over repressive measures from the German military. The Allied invasion of North Africa spurred the Germans to take over the previously unoccupied area of France. A new wave of gun confiscations, repression, and executions pervaded the country. The Vichy government issued its own siren song promising to return surrendered arms but threatening disobedience with death by guillotine. Afraid that Resistance members would break into depots of seized arms, the Germans considered shipping them to Germany but settled on the ruse of returning the barrels to their owners, while keeping the other gun parts so as to render them unusable. The Resistance seized back what it could and begged the Allies to air drop more arms, which were never enough. The SS rejected a new amnesty knowing that those organizing to fight back would never turn in their guns. Both sides were getting ready for the looming Allied invasion. D-Day was the signal for resistance groups to escalate sabotage of rail and communications, and to launch armed attacks on German forces, which hit back at the French guerillas in the mountains and committed atrocities against the general population. In Paris, insurgents mounted the barricades and fought the Wehrmacht in the streets until Allied forces arrived, liberating the city. With most of France liberated, the time came for a reckoning. It was estimated that only a third of the hunting guns had been surrendered, a testament to massive disobedience to draconian gun control. Trials were held of traitors who denounced fellow citizens for anti-German offenses, including not turning in guns. The Vichy collaborators were brought to justice, most prominently Pierre Laval, who was shot at the same prison where his Nazi partners had executed countless citizens. When Laval decreed gun registration in 1935, no one anticipated that five years later France would be overrun by and become a vassal state of Nazi Germany. Gun owners would join the ranks of others in all walks of life who would be subject to ruthless repression for failure to obey the occupation diktats. Many not caught and executed hid their firearms and waited until the time came to strike back. Just as the French army couldnt protect the country in 1940, the armed citizens who made up the Resistance could not overthrow the Nazi tyranny without the Allied invasion, but they contributed greatly to the Liberation. Frances nightmare in that era had many elements, but it suggests a telling lesson: history does not always repeat itself, but rue the day when it does. James B. Jacobs, Chief Justice Warren E. Burger Professor of Constitutional Law and the Courts; Director, Center for Research in Crime and Justice; New York University; author, Can Gun Control Work? "In the outstanding book, Gun Control in Nazi-Occupied France, Halbrook shows that although the French government did not intend to disarm the population when it mandated the registration of firearms, the very existence of registration records made it possible for the Nazis who occupied France during WWII to tighten their bloody grip on the country by hunting down gun owners. The applicable lesson here is that the intentions behind gun control measures aimed at the general population don't matter as much as the inevitable result: subtracting from the people's power to guard their own freedom. His mixture of anecdotes and statistics makes for sobering reading." "In this detailed and fascinating book, Stephen P. Halbrook gives us a companion volume to his superb Gun Control in the Third Reich. Relying on French archival sources and German occupational records as well as a truly illuminating set of eye-witness questionnaire responses and more, Halbrook demonstrates the extent to which modern dictatorship relies on the control and confiscation of weapons and fears what French socialist Jean Jaurès once praised as 'the general arming of the people.' Like Halbrook's study of the Third Reich, Gun Control in Nazi-Occupied France greatly expands our historical knowledge about the relationship between private gun confiscation and the Holocaust. As a work of scholarship, the book issimply putconclusive. But it is also an intensely interesting and at times inspiring account of how some French people collaborated with dictatorship and occupation, how some complied and just went along, and how some resisted heroically." "'Get your guns out of the straw, your stens, your grenades...' These words of the popular 1943 Chant des Partisans, by Joseph Kessel, Maurice Druon and Anna Marly, only make sense if there are hidden guns, sten guns, and grenades to fight against the evil Nazis in the first place. As Stephen P. Halbrook's splendid new book, Gun Control in Nazi-Occupied France, makes perfectly clear, the not so-well-intended but comparatively harmless administrative registration of firearms by the French government before World War II made the goal of the Nazis to disarm the liberty-loving people of France much easier. The heroic fight of the resistance against the invader became harder. Until there are no more aggressionsand I fear we still have some distance in front of us until we arrive on that bright sunlit upland of human historyuntil there are no more wars, a lesson remains: When the battle cry of freedom is heard, people should be well-armed to respond." "Talk of Nazi gun confiscation has long been a staple of American gun debates, but until recently the scholarly work had not been done. 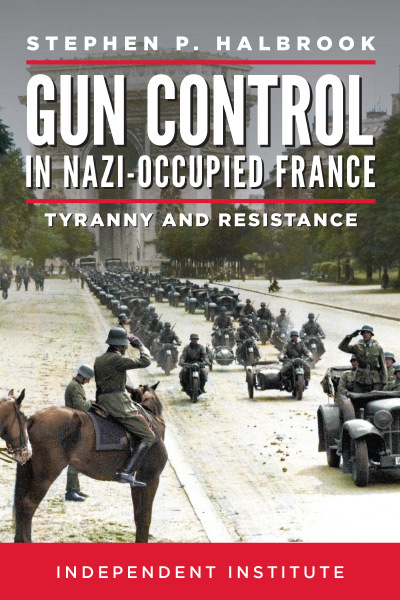 In this book, Gun Control in Nazi-Occupied France, Stephen Halbrook continues his extensively researched history of Nazi gun controls and gun confiscation, revealing in particular how prewar French gun registration laws made the Nazis' task easier, and how French disobedience to those laws preserved a reservoir of firearms that made the Resistance's task easier. Highly recommended!" "With Gun Control in Nazi-Occupied France, Stephen Halbrook cements his position as one of the leading scholars on the right to bear arms. Halbrook provides us with an important cautionary tale. A seemingly harmless firearms registration measure enacted by France's prewar democratic government would allow a later sinister regime, the forces of the Nazi occupation and its collaborators, to round up firearms and to imprison and execute those who resisted confiscation. Anyone who doubts that disarming a people makes it easier to oppress a people would do well to read Halbrook's well-researched study." "Stephen Halbrook has done it again. Building on the case he made in Gun Control and the Third Reich that gun registration efforts in the Weimer Republic contributed to Hitler's rise to power in Germany, he demonstrates in his newest book, Gun Control in Nazi-Occupied France: Tyranny and Resistance, that similar policies in pre-war France facilitated Nazi-occupation of France. Gun registration laws put in place in 1935 by then Prime Minister Pierre Laval made easy pickings of those who failed to surrender their arms under Nazi occupationa failure whose penalty was execution. But Halbrook also tells the other side of the storythat the many French people who refused to register their firearms in 1935, or who owned hunting guns not subject to the registration lawswere often key cogs in the resistance movement that contributed ultimately to France's restoration of freedom. 'Tis an important lesson that cannot be told too often: Tyrants seek to disarm the citizenry because a well-armed citizenry is the surest defense of freedom." "After the conquest of France in 1940, the Germans made intensive efforts to remove guns from French civilians. French civilians took great risks to keep their guns. Secret caches of firearms provided weapons for guerilla bands in the last months of the occupation. They also bolstered the confidence and spirit of a wider range of resisters. Stephen Halbrook's Gun Control in Nazi-Occupied France tells this story in vivid detail, drawing on official documents of that era and a range of post-war reminiscences." "Gun Control in Nazi-Occupied France makes evident several inescapable conclusions: first, a disarmed populace is a priority for tyrants; second, disarming a populace is an achievable bureaucratic process done with relative ease over a short span of time; third, once disarmed the populace must choose either submission to tyranny or death; fourth, the natural right to self-preservation is inextricably tied to the natural right to keep and bear arms; and fifth, effective resistance to tyranny does not start at the knock at the door, but at the politicians' call for gun registration. There was a time when most Americans understood these unpleasant truisms. Stephen Halbrook's timely book is an urgent reminder." "Stephen P. Halbrook's, Gun Control in Nazi-Occupied France, will be received with the same controversy as his previous work, Gun Control in the Third Reich. Gun control advocates will hate it and gun ownership supporters will love it. Irrespective of what side of the gun control debate you are on, you should read it. It is meticulously research, but that will not deter critics from saying that an example from occupied France is as irrelevant as that of the Third Reich. But is it? The venerated sociologist Max Weber instructed us to look at the 'extreme case' as a way of understanding social reality, and Halbrook does precisely that. In the aftermath of the Parkland school shooting, do you want to seize guns? Well, even on pain of facing a firing squad, gun owners in Nazi-occupied France largely held on to their weapons. Seizing weapons is not as accessible a social policy as one might assume. An armed populace in Nazi-occupied France formed the foundation for the resistance to the brutality of the occupation. While the resistance could not overthrow the Nazi regime, it undermined it and was able to join the allied invasion force in pushing the Nazis out of France. Critics of Halbrook's earlier work have stated that since Jews were less than 1% of the population of Germany when the Nazis took over, what good would their armed resistance have been? This critique ignores the triumph of the human spirit in its desire to resist oppression, to make the oppression burdensome and odious. In his Gulag Archipelago, Alexander Solzhenitsyn argued for resisting the heavily-armed state organs with clubs in the absence of guns because resistance is important. Some of those who seek to join the oppressors will be deterred by the prospect of their own deaths. At a time when the debate over gun control is front and center on the political stage, Halbrook's meticulously researched work on Nazi-occupied France is a welcome contribution to that debate, and one that cannot be easily dismissed." "The sophisticated analysis in Gun Control in Nazi-Occupied France shows how Nazi gun control enforcement was affected by military events, international law, civilian cooperation, and the special situation of the nominally independent Vichy government. Halbrook demonstrates how gun registration laws enacted by a democratic government may later be exploited by a tyrannywith registration leading to confiscation and then to mass murder." No discussion of gun control goes for very long before someone mentions Nazis. Yet surprisingly little historical research has delved into what the Nazis actually did, both in prewar Germany and in the countries that fell before the invading Nazi armies. With his recently-released Gun Control in Nazi-Occupied France and its 2014 predecessor, Gun Control in the Third Reich. Dr. Stephen Halbrook has started mining a long-ignored vein in the history of World War II. That historians have so carefully avoided the topic for so long is remarkable in itself. Dr. Halbrook avoids accusations, but he succeeds in gently raising the question of why the topic has been ignored. It just might be that academic backers of common sense restrictions on guns find it uncomfortable to see policies they favor being modeled by the archetype of totalitarian government. Working from a trove of historical source documents in French and German, and from questionnaires he sent to veterans of the French Resistance, Dr. Halbrook has produced a detailed and meticulously researched picture of how the invading Nazis viewed arms in the hands of ordinary Frenchmen, and the steps they undertook to eradicate what they considered a menace to the success of their occupation. . . . The Nazis lack of success in making France a gun-free zone might provide a lesson for current politicians. A good portion of Frenchmen did not give up their guns in the face of firing squads. 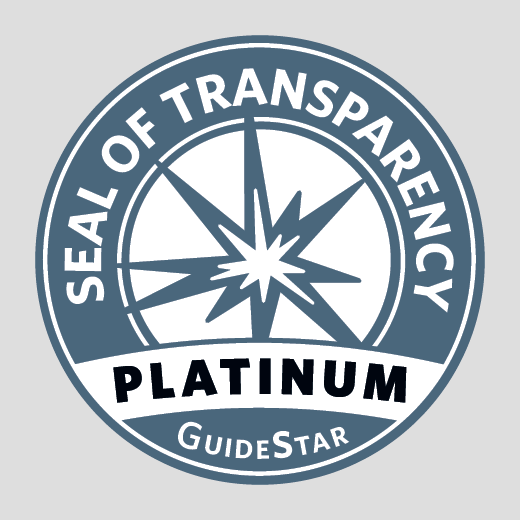 The low rates of compliance with registration laws in California, New York, and Connecticut really should not be all that surprising. Stephen Halbrooks Gun Control in Nazi Occupied-France: Tyranny and Resistance is an important book, one that deserves a place on the bookshelf of anyone who holds the Second Amendment dear. The history of the Nazis and their gun control should not be buried in obscure footnotes. It should be readily available and studied for the important lessons that can be learned and applied today. Halbrook's books are a great start." "25 Good History Reads: Stephen P. Halbrooks Gun Control in Nazi Occupied-France: Tyranny and Resistance (Independent Institute, 2018) shows how Nazis made a French citizens possession of a weapon a capital crime, and how a seemingly benevolent 1935 law requiring gun registration had fatal consequences for brave resisters five years later."